Are you looking for 3d printing projects you can make at home? Are you aware of the wonders that this little machine can do for you? 3D printing is a powerful technology. It allows you to bring to life anything you have in mind. With 3D printing technology, you can now see, hold and feel whatever is in your imagination. Here’s a list of the awesome items that you can 3D Print. If you love baking or cooking you would never run out of measuring spoons because you can 3D print it. If you know someone who loves to experiment in the kitchen for a new recipe, you can customize these measuring spoons and gift to them as a present. If you are considering a useful party favor for an upcoming event with your classmates, this customizable bookmark or paper clip would surely be beneficial to them. This 3D printer project can work both as a bookmark or paper clip. Isn’t it cool? Are you dealing with lots of paperwork in the office? Or do you have lots of notes from school and needs an organizer for it? This desk paper tray will be a good addition to your working space. This has three different trays. One for general purpose, another for pens, clips and coins the third one for visit cards. This water diverter fits a tap aerator with a diameter of 23.5mm. It has an annular manifold that prevents the aerator from choking and keeps it working smoothly for a steady aerated stream. If you love weaving fabrics, you can 3D print a rigid heddle loom. One user already did it using a 3D printer and some raw plastic materials. The user used a screw to keep the whole thing. The creator used an openSCAD, a 3D modeller program to design it. For those who love weaving, 3D printing a rigid heddle loom will be useful for sure. If you love music, in particular, guitar, you can also 3D print it. Whether it’s acoustic guitars or electric guitar, it is possible with 3D printing. In fact, creating guitars with 3D printing is cheaper, easier and more convenient. Cameras are among the most popular devices today. In fact, most, if not all, own one. If you love photography, 3D printing your own camera lens is possible. One did it using acrylic to replace the glass on the lens and other tools to combine the small parts together. The great thing, it works! 3D printing is also used in fashion and design. In fact, several dresses and costumes were developed using the technology. There’s a 3D printed swimsuit, a 3D printed helmet, 3D printed dress, name it, almost every wearable can be 3D printed. 3D printing costumes are quicker and cheaper. Also, it can accommodate complex architecture with intricate designs. Plus, customizing it according to the wearer’s size is convenient. Finding the best shoes could sometimes be a struggle because most items are mass-produced, meaning it does not cater to your specific needs. Also, your left foot may not be of the same size with your right foot. So, finding the best shoes that fit both of your feet perfectly is very unlikely. However, it’s a different thing when it comes to 3D printing because the computer will create an accurate 3D model of your feet combined with the details of your height, weight and activities to personalize the shoes for you. 3D printing is a great option to teach human anatomy and inject realism into surgery practice without using cadavers. 3D printing models are accurate and surgeons can use it to plan a surgery and practice before getting a real patient under the knife. If you want a new accessory for your phone like a new case, you can 3D print it. Gyrobot shared a file where she customized the case of her daughter’s iphone 4 by adding her classmates’ names on it. This is a smart way to add a personalize touch to your phone case. If you want a business card holder, you can 3D print it because almost everything can be 3D printed, so before you buy a new item, search for stl files first if you have a 3D printer, so you can use its magic to get what you need. For card holders, you can find a variety of style and designs online. If you are good at designing, you can create one according to your preference. 3D printing is also helpful in keeping you organized. If you just place any item on your desk, finding what you need would be a struggle. So, you need a place for your scissors, pens, glue, cards, paper, sticky notes, tapes and any office supply. In short, you need a desktop organizer. Creating one that suits your needs is easy with 3D printing. Other than this, you can 3D print wall outlet shelf, phone or tablet stand, headphone hanger, cable holders, cable organizer clip and more. 3D printing is also capable of producing unique, elegant and durable cups, glasses, plates, dinnerware and more. Kids can also enjoy 3D printing because it can produce toys. In fact, Mattel unveiled a $300 3D printer, called “Thing Maker” that allows children to print their own toys. This device works in conjunction with a 3D printing app that is developed in collaboration with Autodesk. With the app, children can design the items they want to play. The app is called ThingMakerDesign. It comes with a variety of built-in character templates and easy tutorials to help beginners get started. It also encourages children to explore their creativity by allowing them to design from scratch. The toys can be customized with different colors and textures. They also bend or twist. The design can be saved to the device or be uploaded to the Google Drive or Dropbox. Then the app will let you export the STL print files wirelessly to your at-home printer. Kids can also create parts and assemble it like dolls, robots, dinosaurs and more. If you got your scissors broke and you need one immediately to finish a project, but can’t buy one because it’s already late and the stores are close. Just print one conveniently. 3D printed scissors work! These pliers are designed to be easy to print and moderately strong. You can choose from needle nose with jaw teeth, needle nose with no teeth, blunt nose with jaw teeth or blunt nose with smooth jaws. If your hand tool collection lacks this, you can find 3D printing models for this tool online. Here’s a flathead screwdriver for you. If you need a wrench no matter what size it is, you can easily print one. Barspin has successfully designed several variations of this tool. This versatile tool can be a life-saver and it can now be 3D printed. Check out Stephan Albert’s file here, but you’ve got to pay for it. One of the coolest 3D printer projects you can create is this. You can convert your audio files into 3D-printable records and listen to it on any record player. If you’re a huge fan of stamps, you can easily customize its design if you have a 3D printer. Just draw your model in a vector graphics software, edit it in Blender to add a backing plate and make it three-dimensional. After that export it in STL file. Print the stamp and print a stamp handle. Then, you are good and you can now start stamping! This musical instrument is very expensive, but you can own one if you have a 3D printer. F-F-Fiddle is the first to create a full-size electric violin at home. Investing in one is just worth the money as this really sounds good. Another user created his own version, ElViolin, by improving . Check it out below and you will love fall in love with it. You can 3D print your own water bottle or jug for personal or home use. So, if you need one and you have a 3D printer start printing today. By doing so, you’ll get to design your bottle and satisfy yourself with your art. The power of 3D printers can save a life. So, you should include a survival whistle in your list of 3D printer projects as this is very helpful in times of emergencies. If you’re fond of cute and artistic items for your kitchen, don’t settle on what you just see in the grocery. You can 3D print matching salt and pepper shakers just like this. These will be a great addition to your dining table while you enjoy your meal. One of the most difficult things to deal with is forgetting your keys. It’s both frustrating and irritating. So, create a spare key using your 3D printer and always take it with you. Make sure to place it into something you always bring with. Want to create a useful household 3D printer project? Then this should definitely make it into your list. A turbine water saver will help you save on your water bills as the little turbine delivers a neat sprinkler effect while dispersing water in a wide arc so you can wash your hands or dishes more quickly. This item is a necessity today perhaps due to the rising popularity of social media. If you want a unique camera, your 3D printer can help you create one. There are already a lot of functional 3D printed cameras. But, the process is a bit demanding as you need to smoothen the item and assemble it. The most challenging part would be printing the lens, but it will be worth once you finish this 3D printer project. As mentioned above, a screwdriver is among the tools that you can 3D print. If you have enough screwdrivers, you can also print a holder for pegboard. You can download the file here. This will be very helpful for you and pretty sure, you will love it. Hinges are useful whenever you are creating something that involves door or covering. You can include hinges in your 3D printer projects and start customizing it. Here’s an example, check it out. Bottle openers are very handy and helpful during gatherings and parties. So, make sure that you always have one wherever you are. If you’re still looking for one, you can 3D print it. You can download the file here. There are times when you just can’t finish the content of your favorite chips or have to seal your bag of cereal or frozen vegetables, but you don’t have the appropriate material to do so. So, 3D print a sliding bag clip because this will surely be one of the kitchen gadgets that you will use more often. If you are interested, check out the file here. Have you experienced charging your phone on the wall and placing it on the floor because the socket was too far from a table or chair? If your colleagues won’t see your mobile phone they might accidentally step on it and broke it. So, get yourself this wall outlet shelf to keep your gadget safe. You can download the file here. Keep your batteries in place using this storage. This stackable battery holder can easily be wall-mounted using two screws or it can sit beautifully on your table. It only has three parts, so you can easily assemble it. Each part is friction fit to ensure a tight and permanent lock. Do you feel the need to have your own secret storage at home where you can hide your extra money or very important documents? If you do, you will find this secret shelf very useful. No one will suspect that there is something hidden in this beautiful design. If you need an amplifier for your phone, you don’t need to buy one because you can create it if you have a 3D printer. Cults have a free file that you can download and print. The project only takes 6 to 10 hours to finish. For those who are using a wheelchair or if you know one who does, this 3D printer project will be helpful for you and them. This is designed to help a wheelchair user overcome a step in front of a building, shop, cafe or bar. You can check out the file here and do the necessary changes that you think can improve the design and make it more efficient. 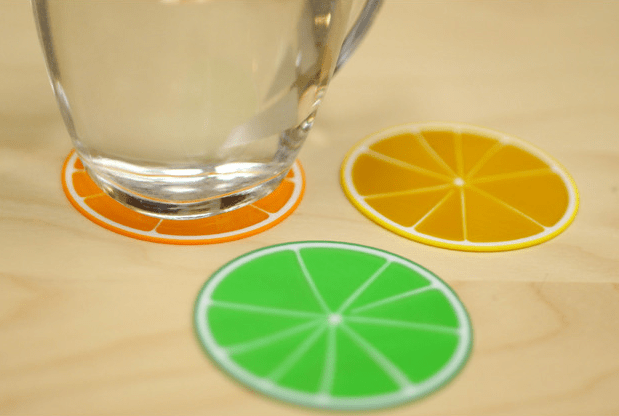 If you love to add new colorful items in your kitchen, better include these multi-color citrus coasters on your 3D printer projects. These coasters will surely add a pop of color to your table and your children will surely love these, too. Having trouble separating the egg yolk from the egg white? Well, this shouldn’t bother you anymore because you can easily create an egg separator using your 3D printer. Download the file here. One of the most useful outputs that you can produce from a 3D printer is prosthetics. These 3D printed projects are beneficial for individuals with disabilities. Here’s an example. Keep your cables in place to keep things on your table in order. After all, you don’t want to see lots of wires on your working station. If you are among those who badly need to organize the cables on your table, this 3D printer project, a cable holder, will be beneficial to you. If you have a bunch of memory cards, you’ve got to keep them in a good storage to ensure that you won’t lose any of it. One 3D printer enthusiast shares this SD card case with 25 slots which is spacious enough to keep your SD cards safe and organize. Not everyone is fond of bringing their wallets whenever they step out because it’s too heavy or bulky. If you’re experiencing the same, this slim wallet is the answer. Download the file and create one for yourself. 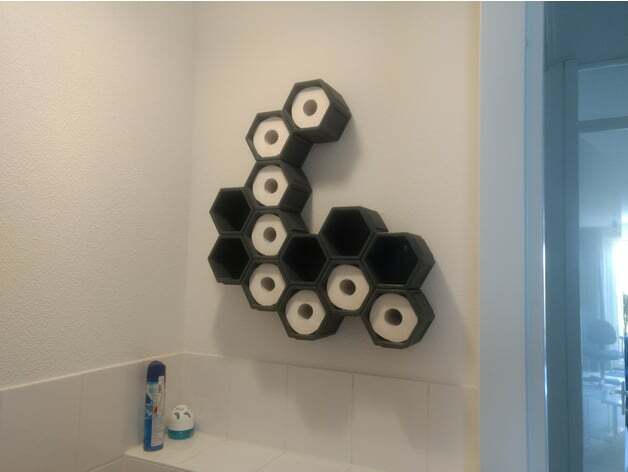 If you have a stock of toilet paper in your bathroom and you’re tired of filing them up in their usual position, then get creative! Here’s an artistic toilet paper holder that will not only serve its purpose but add beauty in your restroom, too. If you are looking for a unique addition to your home, this Cellular Lamp will surely impress you. This is designed as a big cellular and works as a lampshade for an LED light or as a sculpture. While it may sound unappealing to 3D print a food, you will definitely change your perspective if you see how a 3D printer operates to create pizza, ice cream or candies. In fact, 3D printed foods have a more strategic advantage because they do not contribute to global warming and global dilemmas of low natural resources. Chloe Rutzerveldd, a Dutch industrial design student comes up with something healthy to consume from a 3D printer in her Edible Growth project. The project applies the benefits of additive manufacturing in food production. It is an example of a high-tech but fully natural, healthy and sustainable food, which is achieved by combining natural growth, technology and design. Meanwhile, Foodini is working on a food 3D printer that could be the next microwave in the future. At the time, the technology is limited to foods that can be made into a paste like chocolate, frosting, dough or hummus. But Natural Machines co-founder Lynette Kucsma is positive that the food printing kitchen appliance will be as ubiquitous as the microwave oven. Guns are expensive, but if you feel that you need one for self-defense, 3D printing a gun is possible. With regards to the legalities of 3D printing a gun, the Gun Control Act of 1968 mandated that anyone who engaged in the business of dealing firearms must be licensed by the federal government. In addition, firearm dealers must perform a background check for their prospective buyers and maintain records for all sales. The act does not prohibit any individual from making a gun for personal use. A non-licensed person may make a firearm, provided that it is not for sale and that he is not prohibited from possessing one (felon convicts). On the other hand, Federal law imposes no restrictions on non-licensed possessors. Thus, if you 3D print a gun, you do not need to register it or go through a background check. Yes, 3D printers can also make buildings. A Chinese company constructed two buildings with the use of 3D printer. They used recycled industrial waste for their material. The company’s printers were 6.6 meters tall and the ink was a mixture of cement and glass fiber. The said printers can manufacture buildings up to 12 stories tall. One was a 1100-square-meter villa and the other a six-story residential block. It might not sound appealing to live in, but the Chinese company said that the buildings were safe to occupy. The first 3D printed car, Urbee was created in 2011. Local Motors is also making their own. In fact, they are developing a 3D-printed car that exceeds the FMVSS standards by 2017. They have worked with other companies to create a simple and smart car. Their 3D printed cars are also sustainable with vehicle emissions of only half the equation. If you are uncomfortable with your footwear, you can add an insole on your shoes. Gensole is a form-fitting insole that matches the scan of your foot and it’s adjustable to have the best fit inside your shoes. If you love to party with your friends or hang out at home while sharing a bottle of beer, this chip bowl is a must-have. With this, you don’t need to hold a plate in one hand and the bottle of beer on your other hand because that’s not fun. Check out this cool 3D printer project and you will love this. If you are willing to create a more complicated 3D printer project, try this Electric Coffee Maker. If you love to start your day with a cup of coffee, this will be beneficial to you. 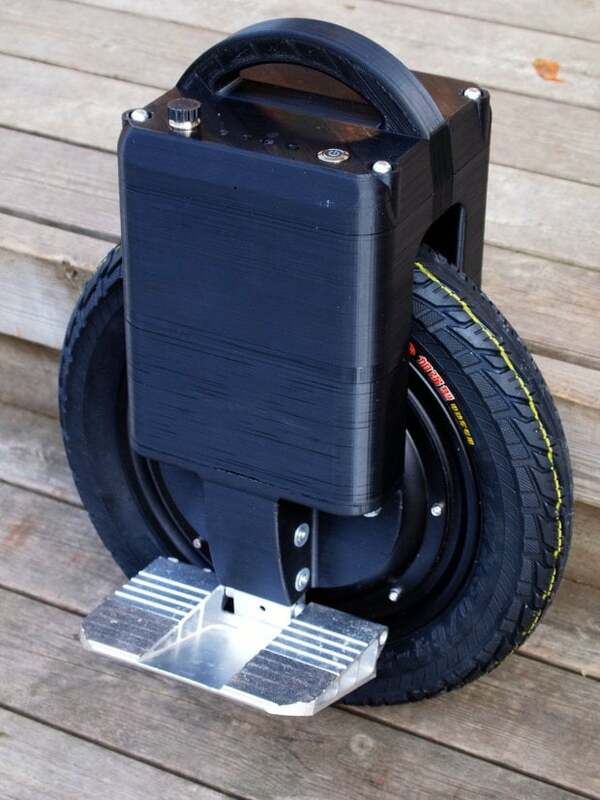 If you love adventures and you’re ready to get your hands on in assembling your own high-power electric unicycle, you can do so. Matias Eertola already did it and you can access his files and modify it if necessary. You will surely love this! 3D printing is capable of creating almost anything. From your basic needs – food, clothing, and shelter to your wants, toys, fashionable shoes and more. I hope the list above answers your question about “what to print with a 3D printer?” If you want to enjoy the best in life, try 3D printing and you will surely love it. If you want to know more about 3D printing, feel free to check our homepage.